Suppliers, building and installation services. We can design, supply and build your patio or garden decking using materials of your choice or from a wide variety of prepared kits. We also provide patio cleaning and decking repairs services. 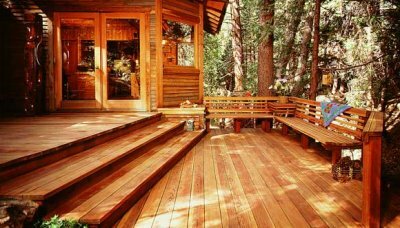 Whether you require your wooden deck to be built in hardwood, regular timber or a combination of materials, our installers can fulfil all your needs from offering helpful deck design ideas and advice through to installation including balustrades and also ongoing maintenance as and when required. We can supply and build from scratch or if you already have a decking kit or a deck design in mind and just need someone to install it we are happy to offer you a no obligation quote for this, and if it’s just a spare pair of hands that’s needed to help you put it together we can offer you hourly and daily rates for labour only. 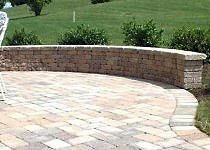 Patio: We can supply and lay a variety of patio designs in stone, brick or concrete either to compliment your decking or other paving. We can install awnings and various other forms of patio furniture and we also provide patio cleaning services, using powerful pressure washers and many variations of paving and pathways. 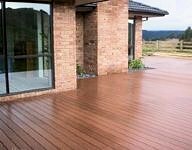 Garden decking suppliers & builders. 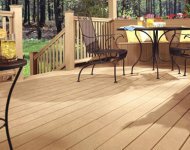 Decking boards, wood decking & other materials. 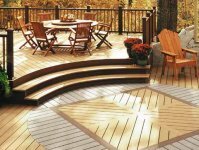 Hardwood decking kits and deck design ideas. Patio building and Cleaning. Stone, brick and concrete patio. Patio washing & pressure washing services.